Not surprisingly, most of the world�s news media criticized the terrorists and offered sympathy and support to the United States in the days right after the September 11, 2001, attacks. But this phase didn�t last long. Within a week or two, many of the world�s news media � even some in Western countries � were putting some of the blame for the attacks on the United States, citing its history of heavy-handed politics around the world. Many hoped the attacks would "wake up" the United States to this fact. But the subsequent U.S.-led wars in Afghanistan and Iraq dashed these hopes. Today, much of the sympathy and support generated from the tragedy has dissipated � having been replaced, instead, by a belief that political leadership in the United States is more arrogant, intransigent and self-absorbed than ever. 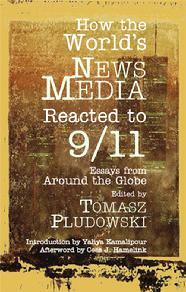 This is the major theme of How the World�s News Media Reacted to 9/11, which contains 22 chapters �written by scholars and experts from around the world � that examine news media coverage of 9/11 from more than two dozen countries. The "arrogance" theme isn�t one that many U.S. politicians, journalists and citizens want to hear. But it�s the message that the world�s news media have been sending, and the question now is: Will U.S. media and politicians listen? American TV news channel news executives deliberately excluded controversial U.S. guests and opinions from their news coverage of 9/11 (Chapter 20). Media in Australia, Canada and other countries demonized Muslims and Arabs after 9/11 (Chapters 18 and 21). Ordinary Arabs and Muslims in the Middle East have distorted views of the United States, partly because their media do not provide all of the facts (Chapter 15), but Americans, too, misunderstand Muslims and Arabs, because U.S. media have failed to help Americans understand why much of the world hates their political leadership (numerous chapters). Tomasz Pludowski, Ph.D., is a Fulbright Senior Research Scholar in the Department of Communication at Stanford University. He also is editor-in-chief of Global Media Journal (Polish edition). His publications include Terrorism, Media, Society (see picture of cover above), which was published by Collegium Civitas Press of Warsaw in 2006.